Matt Morin makes a very, very welcome return appearance to the blog with his contribution to the festschrift. If you’ve read Matt’s work before, you already know you’re in for a treat. If you haven’t, read on, as Matt combines RATM, the writings of Subcomandante Marcos, and the bit in “Conceiving Parenthood” related to Lysol and feminine hygiene. Best wishes to each of you for a safe and restful Thanksgiving holiday, from KNS and ALH. There were several sermons contributed to the festschrift for Dr. Hall, one of which was by me (Kara Slade). It was preached at Church of the Nativity, Raleigh, NC, and at Durham Resurrection Community on October 23, 2011. 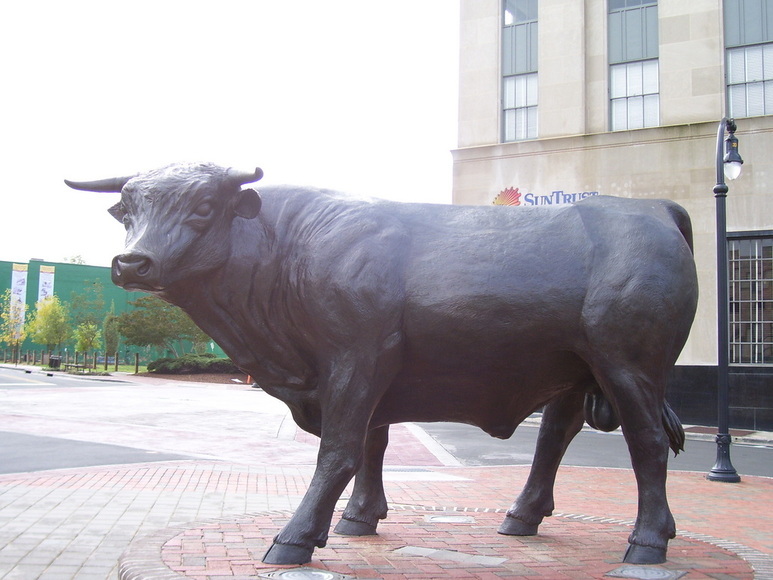 The Durham Resurrection Community, an incipient Nazarene house church that sometimes meets here on Green Street, may meet tonight with the Occupy Durham people downtown, near an iconic civic sculpture of a very well-endowed bull. I have not written yet about the Occupy movement – for several reasons. First, I have been busy mothering my two girls, exploring Durham with the bear (see “My Encounter with a Mountain Lion”), and planning upcoming courses. Second, I am much more comfortable with the form of activism in the IAF model, and I have been waiting to see whether our local IAF is going to become involved. But it seems time to say something. Today’s guest post, another contribution to the recent festschrift, comes from Shannon Craigo-Snell, who is currently serving as Professor of Theology at Louisville Presbyterian Theological Seminary. Many thanks again to Shannon for her wit and wisdom.